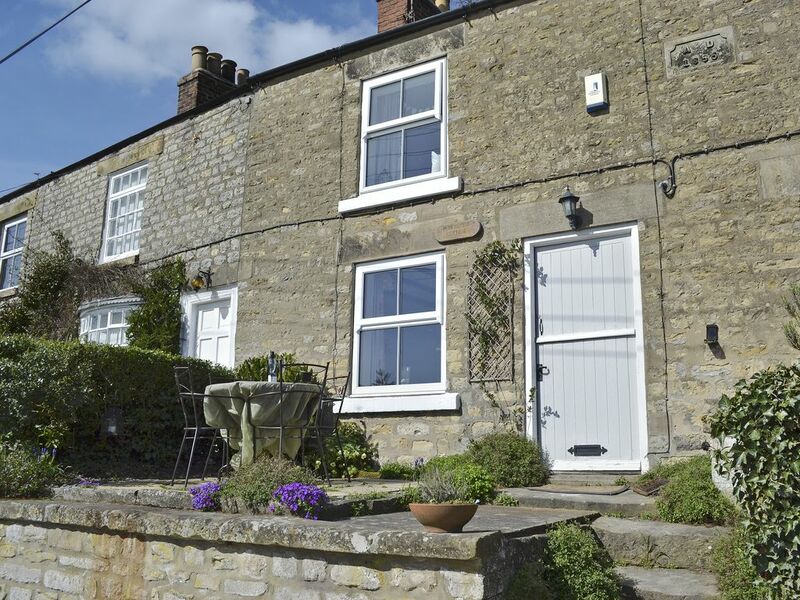 Enjoy views over the Howardian Hills from this comfortable cottage, ideal for a holiday at any time of year. With outstanding views over the Howardian Hills, in an AONB, this holiday cottage offers very comfortable accommodation at any time of the year. Situated on the edge of the Yorkshire Moors National Park, there is excellent walking right from the doorstep. The market town of Helmsley with picturesque square, quality shops and variety of restaurants, 4 miles. Places of interest locally include Duncombe Park, Nunnington Hall, Castle Howard and Rievaulx Abbey. Hang gliding from Sutton Bank, 6 miles. York, 20 miles. Whitby, 30 miles. Shops 2 miles, inn/restaurant 500 yards. Living/dining room: With wood burner, TV, DVD player, sofa bed (for flexible sleeping arrangements) and beams. Bedroom 2: With 4ft 3in double bed (for one). Electric central heating, electricity, bed linen, towels, Wi-Fi and logs for wood burner included. Sitting-out area with garden furniture. Private parking for 1 car. Please note: There is a drop from the sitting-out area to the road. There are numerous steps to the entrance of this property. Up to one dog only. There is a drop from the sitting out area to the road. Sofa bed is for alternative sleeping only.